The famous Central Station is found along the creek, so often times the two hotspots are visited at the same time and often associated with each other. The creek provides a great opportunity to see the clear calm waters flowing over the sand for a truly subtropical experience and also provides a pathway to the former logging station! The boardwalk to Central Station runs along the creek, so while walking, you have the opportunity to experience the amazing rainforest and tranquil waterway. 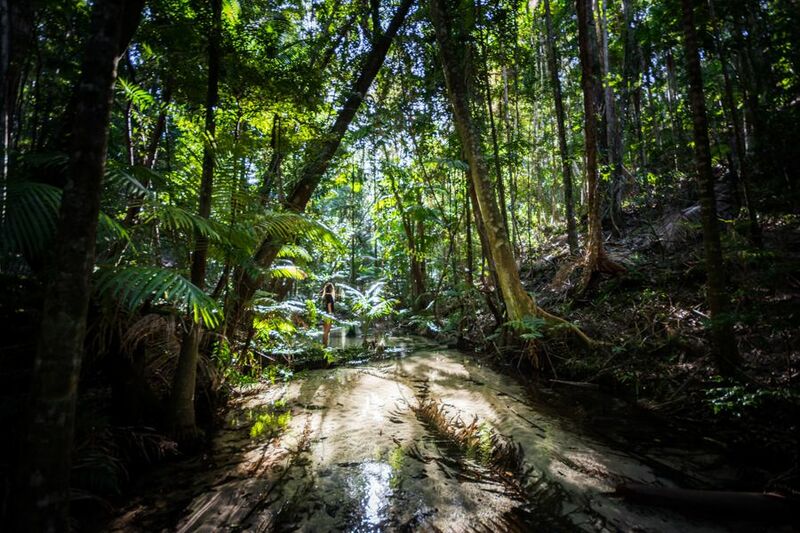 Since logging was outlawed on Fraser Island Central Station and Wanggoolba Creek have become a place of serenity, relaxation and exploration and is a favourite destination on many tours and self-guided trips. Wanggoolba Creek is considered to be a sacred place for Butchulla women, Fraser Island's traditional owners, making it special and important to the history of K'gari and a worthy destination for anyone wishing to explore the best parts of this sand island! 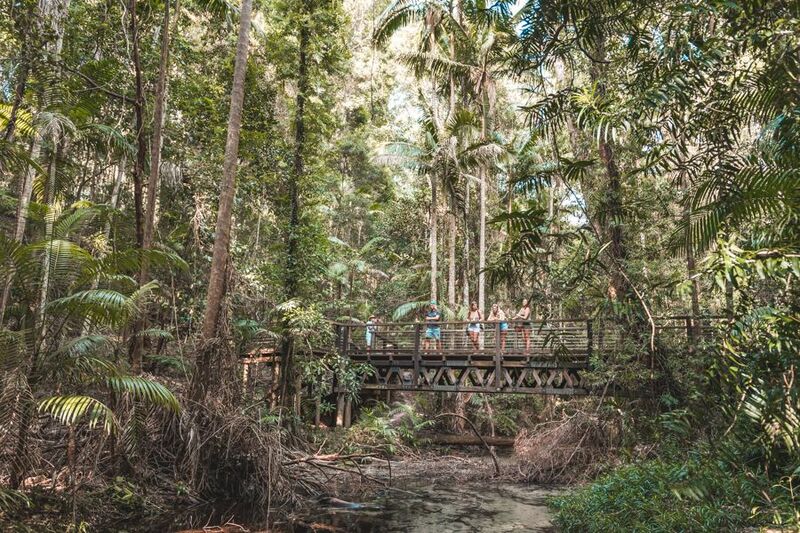 Wanggoolba Creek is a great place to capture photos and make memories that will encapsulate the forests and waterways of Fraser Island. The bright green trees contrast with the white sands, crystal clear water and warmness of the forest, creating a natural masterpiece! Enjoy all the sights and sounds of the creek as you make your way along the boardwalk into Fraser's dense rainforest.